Planning for sustainability is an important part of the TJC initiative because political, organizational, and social change will occur over time and your goal is to make the TJC initiative part of your organization and community's culture. As discussed in Module 3: Collaborative Structure and Joint Ownership, different groups will be charged with different tasks and decision-making authority. The TJC governance structure reflects this. It generally consists of an executive-level group, an implementation group, and various work groups. Developing a basic organizational chart that depicts how these groups work together is key. Implementation group: stakeholders charged with planning and implementing the initiative; could include some executive-level individuals but generally consists of individuals familiar with the agency's policies and procedures, and the issue of local reentry. Workgroups: specialized groups that form to address a specific task or issue, such as screening, assessment, or data and evaluation. Again, some individuals from the implementation group may sit on work groups but workgroup membership will likely draw from a broader pool. Determining the division of labor is important in each group. Begin by defining roles and responsibilities for each individual. Make sure to clarify what are individuals charged to do, by when, and to whom do they report? Likewise, decision-making authority must be defined so that all individuals in the initiative have a clear understanding of who is accountable for its success. What business aspects need to be formalized? Are policies, procedures, and decision points documented? Who is doing what, to whom, when, how, and for how long? Are these materials accessible to the broad collaborative? Many jurisdictions struggle with information flow and exchange. Mechanisms like the MOUs discussed above and those below facilitate information sharing by clarifying what information will be shared, about what, with whom, and for how long. This empowers staff to request and provide information, and to use the information. It also facilitates greater transparency and collaboration among agencies, reduces duplication of effort, and promotes more efficient use of scarce resources. Release of information (ROI)—an ROI specifies that inform about a client can be shared with other agencies. This is essential for the development of transition case plans and monitoring of those plans. Interagency agreement or memorandum of understanding—as discussed above, MOUs may specify an agency's agreement to participate in an initiative; address details about the use of resources, such as redeployed staff; and clarify data and information that will be collected and shared. Partner and Community-level—the mechanisms below promote sustainability by keeping partners and other constituents informed of progress and issues; they also provide a running record of decisions made and changes in policy and procedures. The implementation group should decide who should receive these materials and how often. Support from various constituencies is vital to the progress and sustainability of the TJC initiative. Public education and outreach is an essential mechanism by which to identify, engage, and retain the interest and support of key constituencies. In turn, local leaders can serve as ambassadors for the initiative, taking its message to new and influential groups willing to lend their support. Ask stakeholders for their input about groups to target and enlist those stakeholders reaching out to those groups. Define and think about assets broadly. Leverage stakeholder expertise and “know how” around key issues. For example, some will have participated in the kinds of collaborative effort required by TJC, so tap them for lessons learned or tactics to secure funds or cultivate new resources. Ask agency partners to cross-train staff involved in the initiative. Ask for in-kind donations that will allow the initiative to distribute resources. Many cities and counties maintain a directory of local or regional foundations, philanthropic organizations, and civic groups. Review these directories to determine their funding interests and reach out to key contacts2. Think creatively about the needs of your initiative and how they may align with the funding interests of these groups. Document progress, milestones, and other successes that you can share with prospective funders as evidence of that your approach works and is worth their investment. While some funders will want to see your claims backed up by data, others will be moved by client statements. Partner with other agencies on grant applications; leverage their experienced grant writers. Leverage past expertise to demonstrate your jurisdiction's ability to collaborate, coordinate, and implement initiatives. Consider “cost-sharing” for a staff position. Although many funders are financially constrained today, they may be willing to fund part of your request or match an amount4; likewise, they may be willing to provide in-kind resources or share their cache of volunteers to assist with service provision. Taken together, these tactics will enhance the long-term sustainability and viability of your effort if implemented thoughtfully and early. Consider forming a sustainability workgroup early in the initiative to brainstorm options, develop a plan for sustainability, and take steps toward that goal. 1. Douglas County, KS Sheriff’s Office Corrections Division Reentry Program. 2008. Inmate and program fact sheets. 2. Douglas County, KS Sheriff’s Office Corrections Division Reentry Program. 2010. Reentry Newsletter Volume III, Issue I. 3. Douglas County, KS Sheriff’s Office. 2008. Douglas County Jail Serves as National Model for Reentry Program. Press release for radio on the TJC initiative. 4. Douglas County, KS Sheriff’s Office. 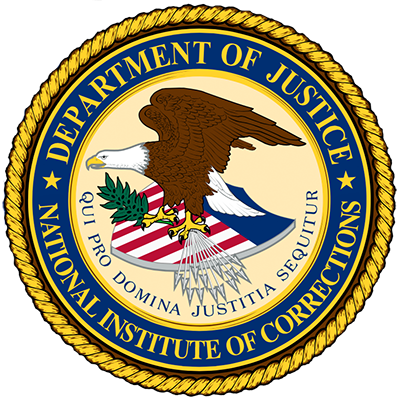 Douglas County Reentry Program Selected by National Institute of Corrections and Urban Institute’s “Transition from Jail to the Community (TJC)” project. Press release on the TJC initiative. 5. Douglas County, KS Sheriff’s Office. Fact Sheet on the TJC Initiative. 6. Institution for Education Leadership. Building Sustainability: In Demonstration Projects for Children, Youth and Families. Prepared for the Office of Juvenile Justice and Delinquency Prevention. 7. Hennepin County, MN, Department of Community Corrections & Rehabilitation. 2014. Corrections Connections Volume 8, Issue 4. 8. La Cross County, WI. Justice for All newspaper article series exploring different parts of La Crosse County ‘s criminal justice system. : Introduction, jail, electronic monitoring, treatment courts, probation, and the Town Hall coverage. 9. Murphy, Shannon. 2009. Transition from Jail to Community Initiative: Once County’s Experience, American Jails. 10. Orange County Sheriff’s Department. 2008. Facts at a Glance 2008 - Inmate Service Division Inmate Re-Entry. 1 Weiss, Heather, Julia Coffman, and Marielle Bohan-Baker. 2002. Evaluation's Role in Supporting Initiative Sustainability. Cambridge, MA: Harvard Family Research Project, p. 15. 3 Blank, Martin J., A. Kwesi Rollins, and Carlo Ignacio. “Building Sustainability in Demonstration Projects for Children, Youth and Families” prepared for OJJDP. Washington, D.C.: Institution for Education Leadership (IEL), p. 11. Here, Blank et al. provide guidance on redeploying funds but we apply the recommendation to staffing. Let's revisit what we have learned so far in the Self-Evaluation and Sustainability module. Please answer the following question. Which of the following is not a technique to maintain the sustainability of the TJC initiative in your community? Using MOUs to clarify agency roles in the TJC initiative. Relying on outside consultants to maintain the momentum of the TJC initiative. Setting up information exchange and data sharing among agencies. Sustainability of the TJC initiative can only be realized when collaborative partnerships are built formally around a common purpose and approach to individuals transitioning from jail to the community. Many efforts are part of such an implementation and must be evaluated to ensure that scarce local resources are being spent wisely and in the best interests of the overarching system goals. Sustainability is enhanced dramatically when intended outcomes are proven to have taken place, expenditures are justified, and quality of life in the local community is improved. Such a synthesis of outcomes shows the worth of an implementation and embeds its practices in organizational and system culture.